because they do not visit each other during the week; they do not go into each other's homes; they do not phone each other for conversations. I had a coffee morning as a married woman and the only ones who came were the protestants. Amorth, who trains exorcists and is the head of the International Association of Exorcists, said the pope’s exorcism will help to balance the growth of atheism that includes disbelief in the devil. The Vatican states it was a blessing, not an exorcism, but the result was the same. There is a horrible shortage of exorcists in England, and too many false ones, aka the laity, are running around doing this out of order. "Think of Mother Teresa: what does the spirit of the world say of Mother Teresa? 'Ah, Blessed Teresa is a beautiful woman, she did a lot of good things for others ...'. The spirit of the world never says that the Blessed Teresa spent, every day, many hours, in adoration ... Never! It reduces Christian activity to doing social good. As if Christian life was a gloss, a veneer of Christianity. The proclamation of Jesus is not a veneer: the proclamation of Jesus goes straight to the bones, heart, goes deep within and change us. And the spirit of the world does not tolerate it, will not tolerate it, and therefore, there is persecution. " The Pope said this and many other good things today. I like his reference to Adoration. My brother in the 1970s made a working laser in the basement. Braininess still exists.....These cars were a symbol of coolness in my youth. Now, with a car run on the social networks, the car is more cool. Where are the Church leaders in Great Britain? Motherwell is now one of four Scottish dioceses to be without a bishop. The dioceses of Paisley and Dunkeld are led by administrators within the dioceses. 5) To pray and fast for discernment and never to lose this gift through self-love. I have wanted to work for God in England since 1985, when I was first here permanently. I had talked with some Americans in 1986 on creating community in London among Catholics. At that time, I was working for the Westminster Diocese as a what was then called a "lay chaplain", a horrible title and not true. However, the work was fruitful and two priests came out of the Bible study I was running at the time. However, the community efforts failed. I also tried in Plymouth, as a married woman, and in Petersfield, but my efforts failed. When one fails in trying to create the plan of God on earth, one must take one's efforts to prayer. Most things fail, but ironically, some things flourish, because the efforts are the ideas of men and women and NOT God's plan. One must allow God to purify the imagination and heart in order to hear God's plan and not falsely work on one's own. Look at the lives of the saints-look how hard they had to work for God's plans. One cannot judge by successes or failures. Sometimes, God lets someone or even a group go their own way in stubbornness and falsity as a consequence of their own egoism. He has removed Himself. There are many ministries in the Catholic Church which are NOT from God, but from men and women, who are working out of their own vision and not DYING TO SELF and following God. During the past 24 hours, as I am in considerable pain and have to try and rest my back, I continued my prayers for Walsingham and the lack of community, nay, the absolute disruption of the Catholic community there and in other places in England. That there are so many people in Walsingham and elsewhere, thinking they are following God but in reality following false seers and false teaching, such as false ecumenism, (a big fallacy), causes the Church is be divided and weakened. The lack of people desiring to leave the comfort zones and sacrifice for God creates a spiritual vacuum. Worse is the fact that God calls people to His plan and they do not listen, being too busy about their own plans for the Church. Those who read about World War II know of the debacle called "A Bridge Too Far" and if you have not seen the movie or read the book, do so. The problem was that the generals were not in agreement and getting arrogant towards the end of the war. British generals made huge mistakes and sent many men to their deaths because these generals were not listening to reconnaissance men and to other generals. The entire engagement was a mistake of tragic proportions. The Nazis won the battle. If the American and England generals were listening to reconnaissance, (the Holy Spirit, in my analogy), and getting along, sharing a vision instead of doing their own thing,(the lack of community and the persistence of self-love in my analogy), other men further down the line, and the men at Arnhem would not have died in such a horribly bad error of judgement. The Polish were also involved and tried to convince the others of the poor planning. Men died. In the spiritual warfare of the Church Militant, to lose a battle means that souls are lost and people will go to hell. A bridge too far may be a ministry which looks good, but is using means which are unorthodox, false, disobedient, and so on. I could name several here, but will not do so. Some I have mentioned recently on this blog. Any group which disobeys in any small thing is not doing God's Will. On the front, no small mistake can be excused. In war, all the parts of the puzzles and men and women involved in strategies must get it right, or lives are WASTED. I have been praying at to the main sin here in England as to why there is so much disobedience and the following of false teaching--more than in the Catholic Church in the States, proportionally. The answer goes back to Oath of Supremacy of 1534. For 479 years, England has chosen property, status, money, comfort, and the denial of hell instead of the Will of God. Universal salvation is still one of the biggest heresies here. Relativism and even apathy about religion are direct results of the protestant revolt in England. People are not listening to God if they do not listen to Rome. To be united to God means in every way to be one with Rome. A litmus test for the real work of God is orthodoxy. Do not get involved with any groups which are not obedient to Rome in any way, small or large. I cannot trust myself to plans, meetings, groups which are not straight-down-the wicket with God. Do not do so, or your soul will be in danger. Operation Market Garden, an ironic name considering that Napoleon called the British a nation of shopkeepers in derogatory fashion, caused the unnecessary death of many, many men. These false works here within the Church cause the death of souls for those who choose to step outside the Church and ignore Her loving teaching. Pray for me and pray for England. 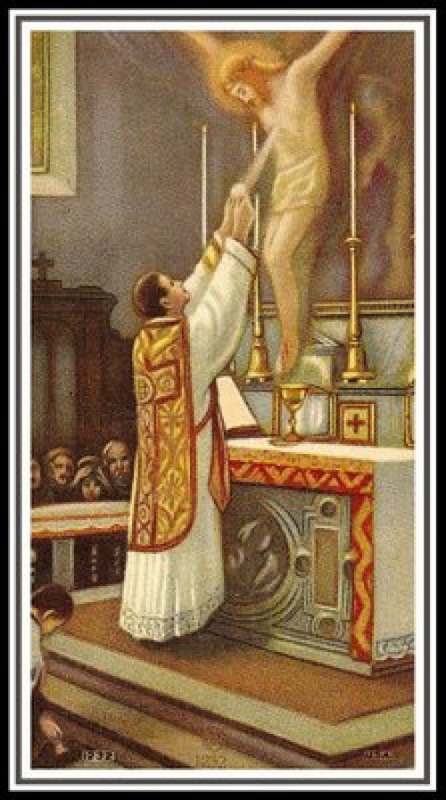 I believe the ONLY way forward is through the Latin Mass and the Latin Mass communities, which are orthodox. The holy house for Adoration in Walsingham would have the Gregorian Chant and the discipline of the Church, nothing unorthodox, nothing. This is God's work not mine, as I would never choose to live in Walsingham. It doesn't even have a post office, a bank, an ATM or my phone company's service. Norfolk is cold and I hate the cold. I would much rather live in Malta. It is very inconvenient to be in the place where Mary decided to appear, but there is a Tyburn-Walsingham connection-The Eucharistic Heart of Jesus. He suffered for His Church seeing the sins of the British people and all peoples in the Garden of Gethsemane. Can we not join ourselves to that suffering? Christ has created a window of opportunity with this house for sale, a perfect community house, in Walsingham, for His plans to bring England back to the pre-prostestant revolt state there. Will you respond to His vision? This is not a bridge too far, but a strategy for taking back England to the True Faith. 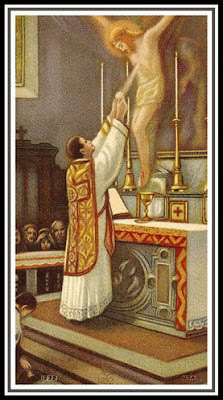 Those who do not follow what Christ wants will end up in another place, as they separate themselves from Rome and the Eucharistic Heart of Jesus, which rests in the one, holy, Catholic and apostolic Church. Anything less is a bridge too far and will end in eternal tragedy. We do not go to heaven by good intentions, but by death of self. Is anyone willing to suffer for God and leave his and her comfort zones? I am and do....Our Lady of Walsingham, pray for us and take us all back to your Son. Little corporal or spiritual tribulations are the first steps of this lofty and holy ladder which great and generous souls climb. They ascend step by step until they reach the last rung. There, at the summit, they find the purest suffering, without the slightest admixture of consolation coming from heaven or earth (the suffering which comes from offense offered to God). And if these souls are faithful in not seeking consolations, they will pass from this pure suffering to the pure love of God, without anything else being mingled with it. But rare are the souls which reach such a degree. . . .
One can hardly endure this pain. One sees one's damnation. The justice of God is real and keen. For many people, this time is like a mini-particular judgement, and for some people, an entire particular judgement. If one accepts this grace and is patient, one end up in peace. More from Garrigou-Lagrange: more to help us all recognize this dark night. We may profit by recalling the case of the holy Cure of Ars. His principal suffering sprang from the fact that he felt himself far from the ideal of the priesthood, whose grandeur appeared increasingly to him in the obscurity of faith, at the same time that he had an ever clearer understanding of the needs of the innumerable souls coming to him. The more he saw all the good that remained to be done, the less he saw what had already been accomplished; consequently he could not be complacent about it. His great suffering, which approached that of Jesus, Priest and Victim, and of Mary at the foot of the cross, was that which comes from the sight of sin and from the loss of souls. This suffering presupposes a penetrating view which is nothing else than the contemplation of the infinite goodness of God, who is disregarded and outraged, and of the value of eternal life. This contemplation grows more and more in the dark night of faith which we are discussing. 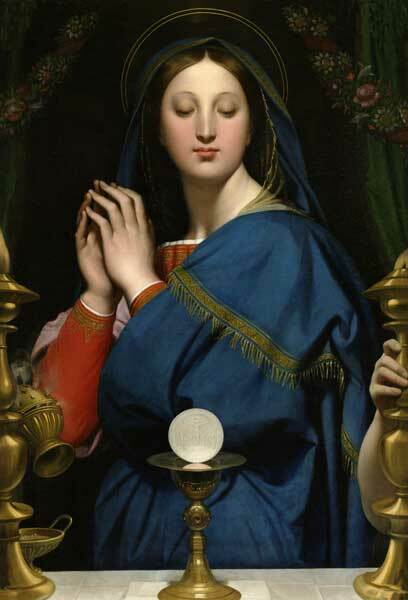 St. Catherine of Siena pointed out in her Dialogue that the contemplation of our indigence and wretchedness and that of the infinite majesty and goodness of God are like the lowest and highest points of a circle that could grow forever. In reality, in this contemplation there is a contrast, a clear-cut opposition between two things which in an admirable manner mutually illumine each other. Modern people really do not identify with this low opinion of self. The great lies of modern New Age so-called ministries has been for 30 years about discovering self and one's gifts, with a complete centering on the self and NOT GOD. I have been totally against these diocesan courses on finding out about one's gifts, as these teach nothing about the stages of purification absolutely necessary before God can use someone. I had a long talk years ago with a laywoman who was conducting these types of courses; she could not see that this course actually takes the focus off Christ and on to one's self. This, of course, is a dead end and stops the route to perfection. Some of this is repetitive, but necessary to emphasize. Like a good teacher, I review and revisit the hard parts until the students understand the passages. The passive purgation leaves on completely in the dark, literally, the soul cannot see anything. The ordinary "lights", such as meditations or devotions, prayers, or even the Hours, leave one dry and empty. God is calling the soul to Himself and takes her out into the desert in order for her to see Him as He is and to love Him for Himself and not for what He can do for her. This is real free love, the love with is not attached to anything else but God Himself. So many Catholics flee from this state, seeking the cookies and cake of consolations, and thereby slide back into sin and self-love. Those who follow this blog have many examples of this sliding back. In the midst of all of this dryness, one must love in the will. One must will love. Love here is not a feeling or a sensation, but a decision. I think of Ruth, following Naomi into a new land, where she had no relatives, no status, no life. She only loved and followed love. The sadness then experienced is very different from that which has its origin in neurasthenia, disillusions, or the contradictions of life. The chief difference is that the sadness of the passive purification of the spirit is accompanied by an ardent desire for God and perfection, by a persistent seeking after Him who alone can nourish the soul and vivify it. No longer only a sensible aridity, it is a dryness of the spiritual order, which springs, not from the deprivation of sensible consolations, but from the loss of the lights to which the soul was accustomed. One must persist and beg God, if He is not giving the graces without this humility of begging. Seeking perfection must lead us to focus on Christ. The soul should then walk "in the dark, in pure .faith, which is the dark night of the natural faculties." (3) It can no longer easily apply itself to the consideration of our Savior's humanity; on the contrary, it is deprived of such consideration, as were the apostles immediately after Christ's ascension into heaven. During the months preceding the Ascension, their intimacy with Him had grown daily; it had become their life, and then one day He took final leave of them on this earth, thus depriving them of the sight of Him and of His encouraging words. They must have felt very much alone, as it were, isolated, especially while thinking of the difficulties of the mission our Savior had entrusted to them: the evangelization of an impious world, plunged in all the errors of paganism. The apostles were too attached in a human way. On the evening of Ascension Day, the apostles must have experienced the impression of profound solitude, similar to that of the desert and of death. We can get a slight idea of this solitude, when, after living in a higher plane during a fervent retreat under the direction of a priest who is closely united to God, we return to ordinary everyday life, which seems suddenly to deprive us of this plenitude. The same thing is true, and indeed much more so, after the death of a father, of a founder of an order, for those whom he leaves and who must continue his work. Thus after Christ's ascension, the apostles remained gazing toward heaven; their beloved Master had been taken from their gaze, and they felt alone in the face of all the sufferings to come. Even the apostles had to give up the physical presence of Christ in order to live in the Spirit. They must then have recalled Christ's words: "I tell you the truth: it is expedient to you that I go. For if I go not, the Paraclete will not come to you; but if I go, I will send Him to you." (4) "It is expedient to you that I go," that I deprive you of My sensible presence. In his commentary on St. John (loc. cit. ), St. Thomas says: "The apostles were attached to the humanity of Christ, they did not rise sufficiently to the spiritual love of His divinity, and were not yet prepared to receive the Holy Ghost. . . who was to be given to them to console them and strengthen them in the midst of their tribulations." This deprivation of the sensible presence of Christ's humanity which preceded the transformation of the apostles, effected on Pentecost, throws light on the state of darkness and desolation that we are discussing. It seems to the soul in this state that it enters a spiritual night, for it is deprived of the lights which hitherto illumined it; darkness descends as when the sun goes down.